"Woman's beauty dies with her body; but a cultures beauty dies with humanity"
Because of technology’s power, all people around the world get to meet, see, and read people’s feelings and ideas. You’ll have a hint of what I’m saying if you have a facebook; a social network where everybody is entitled of the freedom of speech, a speech that’s never thought twice before being uttered and posted. Just recently, I’ve encountered this fuss thinning out in the site. It’s about discrimination of indigenous people; the Igorots to be specific. I am actually a Lowlander and always heard about misinterpretation of this ethnic group. It is but sad to hear improper words and description about a tribe that’s rich in customs and traditions from the people who had proper education. 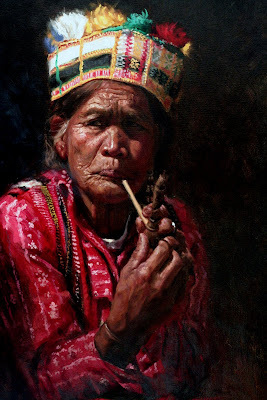 Up and behind the knotted rope, as the Spaniards describes the mountain ranges of the north, is where true beauty and customs of the several Igorot tribes live. The term Igorot is not actually a specific term for a single tribe of cordillera because it is subdivided into several ethnic groups; the bontoc, itneg, kankanaey, kalinga, Ifugao, ilonggot, Isneg, tinguian and ibaloi’s. From the traditional hand-loomed g-strings that they wear to the architecture of their dwellings; Igorot people are rich in history, culture and arts. Their clothing’s are woven from the hand and sweat of the women in the tribe; they may vary with designs and style because of the tribe differences but I assure you they’re worth the keep. Let’s start with the architecture since it’s the simplest concentration to show that unlike the lowlanders, Igorot people valued their own traditions. They say there is no distinct Philippine architecture to be considered as our own because Philippine architecture is flushed when different colonizers like the Spaniards and Americans take over our country; except of course the architecture of the Cordilleras and Mindanao. When the Spaniards came into the Philippines, they introduced extreme societal hierarchy that is evident in the location of the dwellings of the so-called Filipino masses with the Mestizo’s and the elites. Those who cannot afford expensive living dwells in a nipa hut, commonly known as the bahay kubo; while those who can afford a wealthy living dwells in a bahay na bato. As time passes by, housing in the Philippines followed more of the Spanish and American standards and designs; they forgot about their own Philippine architecture. However, not all Filipinos adopted the “colonial mentality” brought by the foreign colonizers; extreme north and south of the Philippines has remained true and loyal to their tradition and cultures, just like the Cordilleran people. A true Filipino dwelling is always made of wood and not stone; elevated from the ground with the use of wood posts or stilts and not with concrete and slab; passively cooled or heated and not integrated with HVAC; roofs are made of thatch and not of clay shingles. 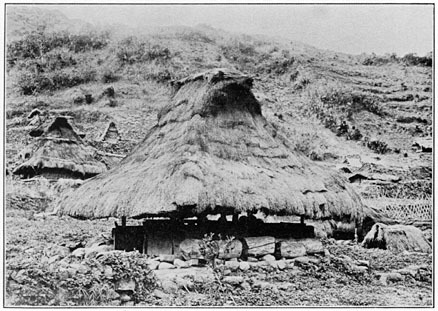 Igorot dwellings up until now build houses that are compact and sophisticated with floor plans that are simply square, elevated from the ground to avoid danger from stray animals, roof construction with timber and thatch. Every time tourists visit Cordillera, the place never gets to disappoint them because the culture and tradition is still present and visible. Now let’s move on with the body art. I presume you have noticed the courageous tattoos the elders possess. These tattoos aren’t made as a show-off or just for being cool; they are made to indicate social status. Researches show that those tattoos signify different meanings; some shows bravery, wealth, and standings. Kalinga facial markings indicate status of warriors with lowest to highest rank; “little men” of the ifugao’s signify social status and wealth in the community; chaklag of the bontoc’s are tattoos over a body scar that is received in the battle field. 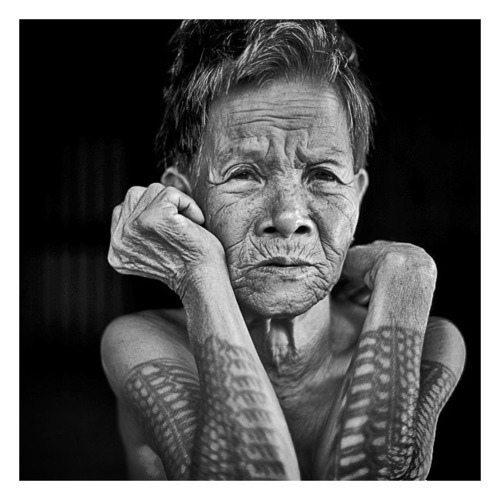 It is also the kalinga’s culture to have the women have their tattoos when they reached the right age. Moreover, kanyaw, a prominent ritual of the highlanders is commonly recognized as a way of rejoicing for variety of reasons-healing, thanks giving for a bountiful harvest, wedding, celebrating a child-birth, and a lot more. With every blessing that comes their way, they treat it as their responsibility to thank God and the spirits that helped them. It’s astounding how they prevent western influences from controlling their own traditions they are used to. I am a Lowlander residing in Baguio for seven (7) years now. I am not a pure-blooded Igorot but I must admit that it doesn’t matter if you’re a Cordilleran by blood or by heart; what’s important is how you treasure this one of a kind culture in your heart. We touched down Cordillera with our own reasons and they accepted us whole heartedly; it is but just to accept and respect whatever customs they have. We, the strangers shouldn’t dictate Cordillera on how to remodel their place to show some advance living. It is us who visited their land who shall adhere to their rules.